We eat at Meadow frequently and the quality of the food and service is consistently excellent!!! We had a great night. You mentioned noise level: I think we were the loud ones :) We were just having so much fun! Very delicious and enjoyable evening. Thank you! Another delicious meal at Meadow. 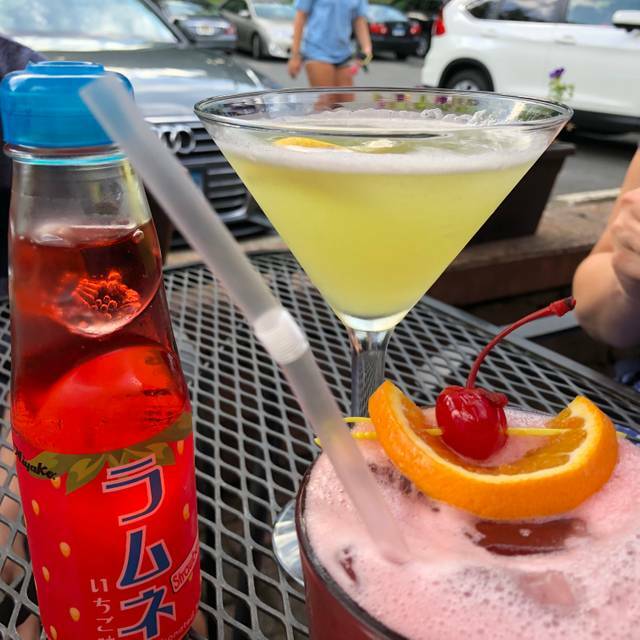 The sushi is always excellent and the service from our regular waitress Maggie can’t be beat! It’s the best place for my wife and I to have a date night dinner in town! Absolutely amazing, fresh food! Really good price considering the freshness of the ingredients. One of the best Asian restaurants in CT - hands down! Love the variety in food offerings as well as the wait staff. Sam runs a tight ship - spotless restaurant and CONSISTENT great food. Very fresh and inviting. Our go to restaurant 3-4 times per month!! There was an issue with the OpenTable reservation not making it to the restaurant but they found it after looking and seated us within a few minutes. The service was excellent- Maggie is our favorite server. Great suggestions as always. 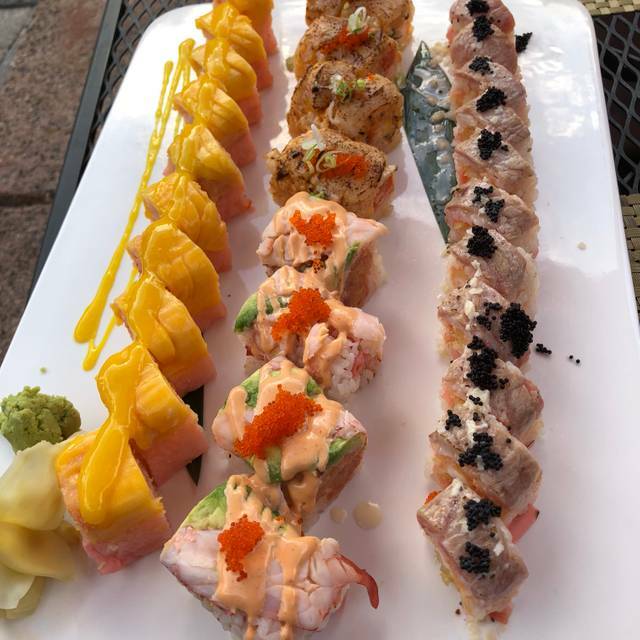 This is the best sushi in Connecticut and we’re lucky to have this gem in our little town. Service was excellent. Specials were all very good and we had three off the board. Will go again. Excellent food; outstanding service! We would go there again and again. Been coming for fifteen years. Sam and Mai are the best. We wish you well. Keep up the good work. 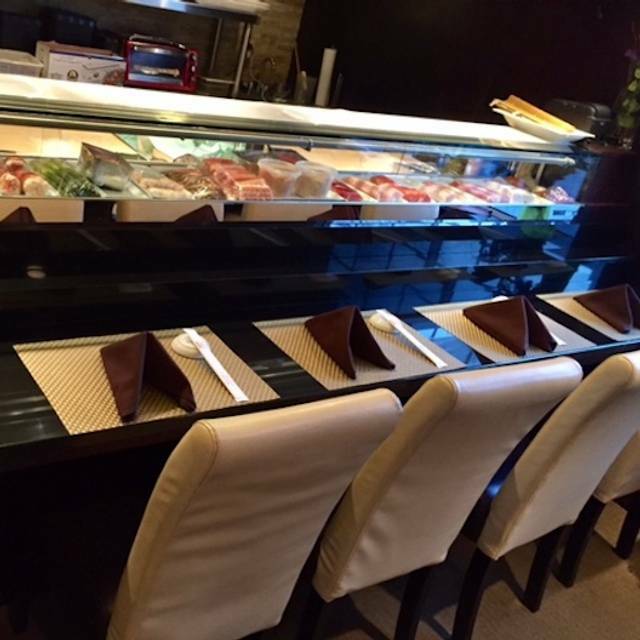 Sushi is so fresh and delicious here - it is one of our favorite places because the food is always good. My husband & I went with friends. Two of us got the lobster/ginger special that was truly outstanding. Lots of flavor & a very generous portion. The service was spot on and all in all, it was a very enjoyable evening. Thai Basil Shrimp was amazing and the appetizers were good as well. We'll be back again! Terrific sushi again. 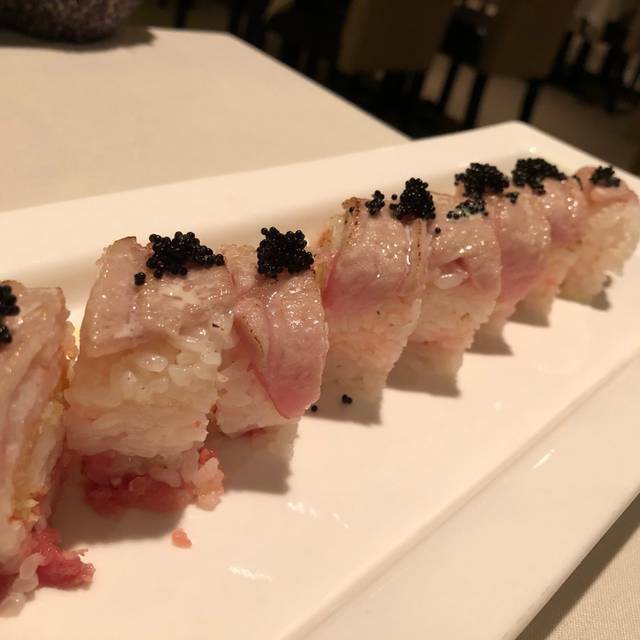 It’s the best sushi we’ve had in Connecticut by far, and why we’re regulars here! Meadow is my go to Asian restaurant. The sushi is always fresh and the presentations are simple and attractive. It is my favorite sushi in the area. The rice is slightly warm as it should be and the fish is appropriately unchilled. The Gyoza are the best anywhere. No out of the freezer here. They are tender , well seasoned and just a mouthful of juicy delight. The do tempura very well and the sushi apps are simply great. Outside of the sushi world, the entree menu consists of Thai, American Chinese and a couple of Japanese dishes. Unlike your basic Chinese restaurant, the dishes here are carefully thought out. No ubiquitous “Chinese vegetables, aka mounds of onion , carrot, broccoli, celery etc) taper vegetables are appropriate to the dish, properly cooked (that is neither over or under done). The meat portion is always tender and flavorful. The sauces are fresh and you can really tell the difference e between garlic sauce and hunan sauce. Once you have had Kung pao here, you will never order from a lesser restaurant again. The Thai curries while not exceptionally spice, the are well balanced and flavorful. Ask for extra heat if you want. Rice is not included . I consider that a good thing as I see a lot of it go to waste in restaurants . You have your choice of white, brown and sometimes jasmine. The mixed drinks are excellent. Be wary, they can pack a punch. The Mai Tai is superb as is the sake martini. A small but decent collection enough collection of sake. If you want to keep the bill down, head for the classic Thai and Chinese and you won’t be disappointed. Been here several times and always good. This time around the chicken was undercooked. Also the fried oyster special wasn’t what I expected. I asked if it was going to be the very large oysters which are about 4” long and the hostess said no. But they were the huge ones. Probably wouldn’t have ordered had I known that. Everyone else had very nice entrees. Another delicious meal at Meadow. This is the best sushi in the area by far. Food not up to par. Nice choices for Sushi and Sashimi. Disappointed in choices for beer... Would have loved to have some draft beers or more bottled craft beers. Good service and we will go there again. The Meadow Sampler included shashimi, makimono, and sushi. It is always prepared fresh with the finest seafood available. I'm never dissapointed when we go there. One of our favorite restaurants in town. Food is fresh and delicious. Fast service and friendly staff. Highly recommend! Outstanding food as always. Can make a meal (as my wife usually does) on just appetizers. Sushi special the night we were there was best sushi I've ever had. Gracious everyday dining. Great food. Attentive waitstaff. Sets the bar quite high. Lucky to have such an establishment in our community. All four of us loved the Meadow--the food is so fresh, cooked perfectly--and they offer a really nice range of different dishes. The pea shoots were to die for! Fantastic sushi as always. Service was good, although slow as we were ending the meal. Everything is wonderful...from the service, to the food and the casual ambiance! Can't go wrong dining here! We visited Asian Meadow and loved it. We ordered Pad Thai, Thai Basil chicken and curry. All awesome. We will be back soon. The food is excellent at Meadows, always consistent. We have been to the Farmington location, and the food is not nearly as a good as Simsbury. Only complaint would be the door opening with new customers, and getting the blast of frigid air at our table (and we were not near the door). Overall an amazing restaurant. I've had their fried rice, sushi, lettuce wraps, thai basil chicken, orange chicken and more. It is all delicious!! They have an elegant, quiet atmosphere with great service. All their food is great especially their spicy foods. The atmosphere is perfect for a romantic evening or a quiet, relaxed dinner with friends or family. The service is fast! I came once at 9pm and our food came out in 5 minutes! Meadow is consistent... consistently good. Try the Lettuce wraps (prepared tableside), Basil Treasure or Thai Basil (shrimp is my favorite) and you won't be disappointed! The staff has the timing thing down pat - I don't feel rushed, nor do I feel like I'm waiting too long for my order to be taken/food delivered to the table. My only complaint with Meadow in the past was with the wine by the glass. It used to be kind of a small pour - but it looks like Sam, the owner, listened to his patrons because lately that has been remedied. My recommendation is to try to save some room for dessert - they really have some stellar desserts - the lemon bomb is tart and delicious and the chocolate desserts are fabulous. I'm not usually one to order dessert, but at Meadow it is a must! The service and the meal was fantastic. Thank very much! This is a very warm comfortable environment especially for a couple or intimate small group. Our waitress was polite and responsive. The food was delicious and the wine choices very good. I would highly recommend this restaurant especially to intimate couples. Food is good, service OK, pretty loud.